Shown with jerk chicken on top.Sub some jerk chickpeas if you are doing WFPB. Can be made 1-2 days ahead of time. Keeps very well in the fridge. Just shake the container to distribute the dressing before serving. 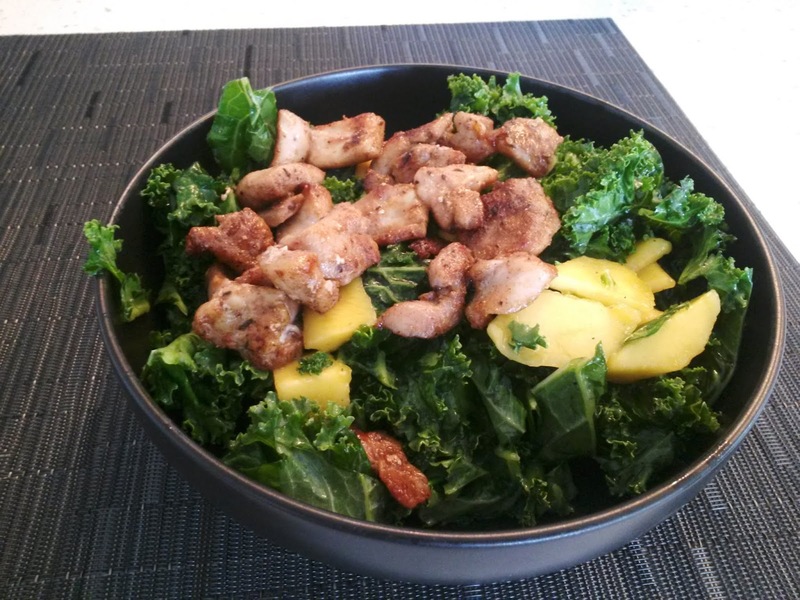 Before doing WFPB lifestyle, I liked to top the salad with marinated, cooked chicken pieces. Jerk chicken was my favorite. Chicken marinated in tequila or citrus is also good. Try jerk chickpeas if you are doing WFPB.